[post_content] => Society of Homeopaths members are being urged to voice their concerns at the potential loss of of NHS-funded homeopathy in Bristol, North Somerset and South Gloucestershire. The plan to drop homeopathy from the list of treatments for patients at the Portland Centre for Integrative Medicine has emerged as one of three options in a review by the area's clinical commissioning group (CCG). 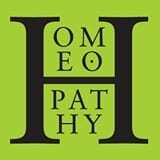 Homeopathy is currently only offered to patients at the centre if their case meets an agreed set of criteria. No change to the current policy. Reducing the number of appointments routinely funded or restricting the access criteria so that fewer patients are eligible. Making NHS-funded homeopathy available in "rare and exceptional circumstances" only where a request would need approval from an Individual Funding Request Panel (IFR). Responding to the NHS proposals, the Society of Homeopaths described the potential removal of NHS-funded homeopathic treatment from the Portland as "a mistake", adding that it would "decrease patient choice and reduce medical diversity for the sake of very minor savings." The Society included in its response a range of research from around the world pointing to the benefits of homeopathy and support for it in other countries and cultures. Members can view the response in the members' area of the website via support/campaigns. Mark Taylor, Chief Executive of the Society, urged members to respond individually. "NHS bosses need to recognise how important the Portland Centre's services are in the area and that cutting such a valued and well-established service would deprive people of choice in self-care," he said. NHS Homeopathy has been provided at the Portland Centre since October 2015. Non-NHS funded homeopathy clinics run by the centre, including those supported by the British Homeopathic Association, are not affected by the review. Details of the consultation, including how to send a response, can be seen here. Society of Homeopaths members are being urged to voice their concerns at the potential loss of of NHS-funded homeopathy in Bristol, North Somerset and South Gloucestershire. The plan to drop homeopathy from the list of treatments for patients at the Portland Centre for Integrative Medicine has emerged as one of three options in a review by the area’s clinical commissioning group (CCG). Making NHS-funded homeopathy available in “rare and exceptional circumstances” only where a request would need approval from an Individual Funding Request Panel (IFR). The Society included in its response a range of research from around the world pointing to the benefits of homeopathy and support for it in other countries and cultures. Members can view the response in the members’ area of the website via support/campaigns. “NHS bosses need to recognise how important the Portland Centre’s services are in the area and that cutting such a valued and well-established service would deprive people of choice in self-care,” he said.